Office Add: #505 Guotai Building, Qifeng Road, Dongcheng Area, Dongguan City, Guangdong Province, China. 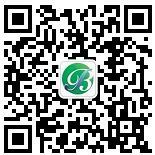 Factory Add: Shangtun Industrial District, Liaobu Town, Dongguan City, Guangdong Province, China. Copyright © 2002 - 2016 Guangdong Binshi Power Technology Co., LTD All Rights Reserved.